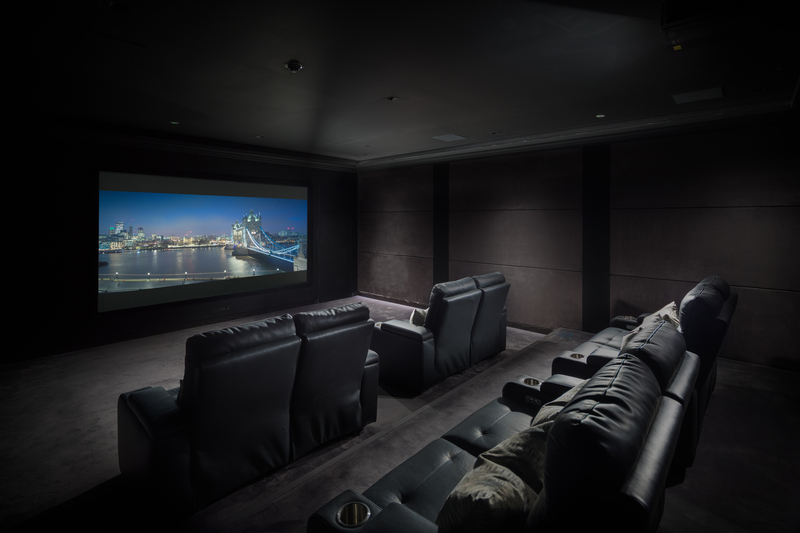 We were entrusted by Aonyx to create a luxury cinema room at an iconic venue under their guidance. 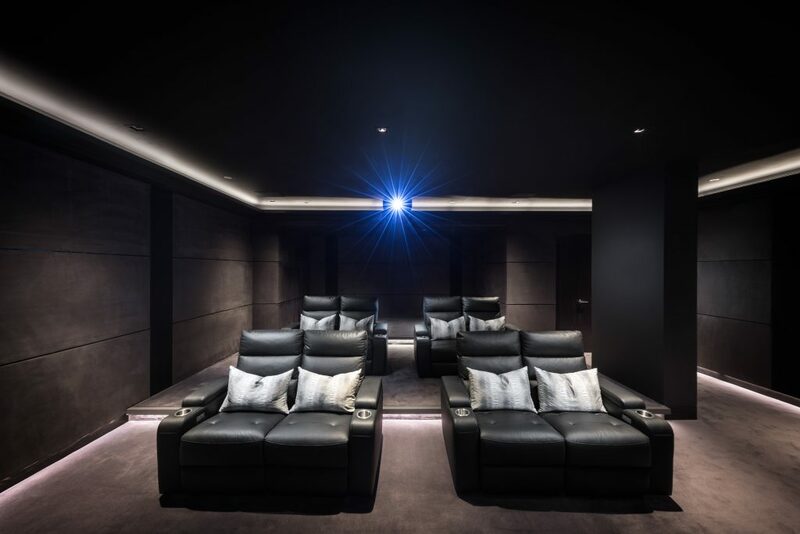 We built a two-tiered platform at the rear of the room for the cinema seating, in-filled with absorption material and made cut-outs for sockets to be fitted. 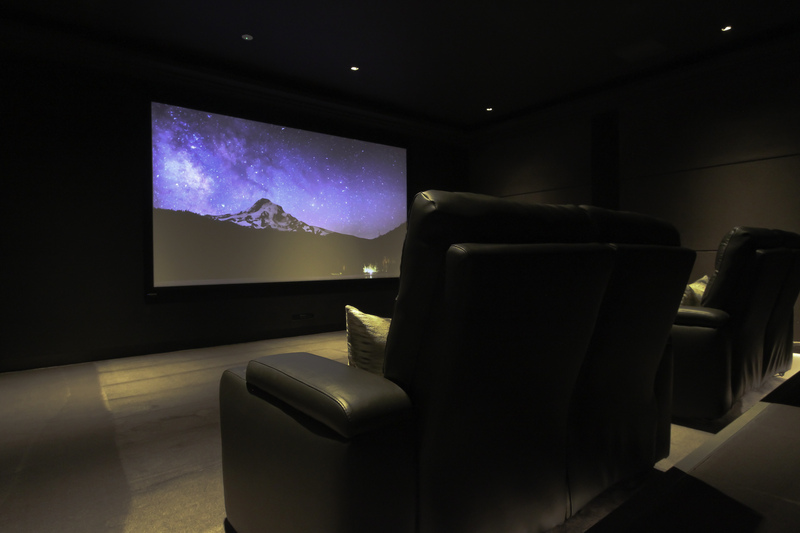 We built out all walls to accommodate speakers, acoustic treatment and cable runs. We made an allowance at the base of the walls for led strip lighting to be fitted. The design included three horizontal bands of fabric around the side and back walls divided by a shadow gap. We fitted timbers to allow for our tracking system and the shadow gap in between. 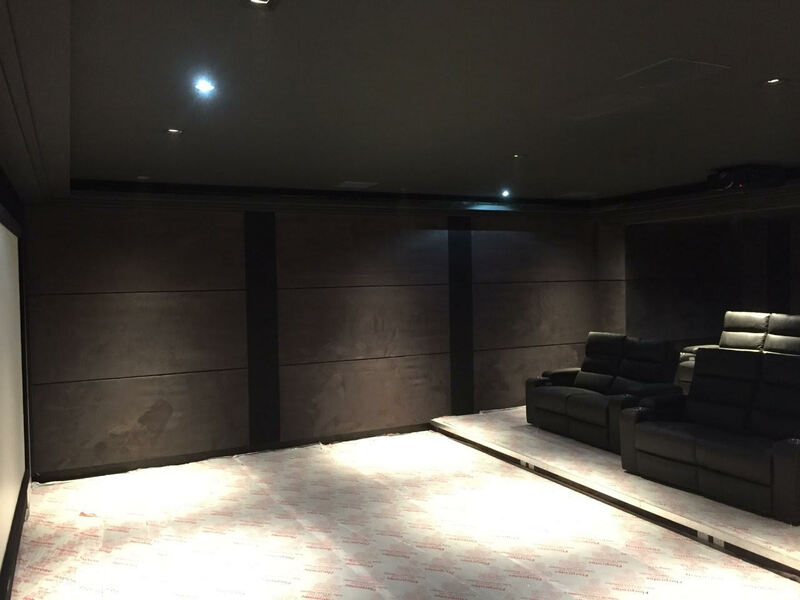 we created vertical columns to house speakers, which we covered with black acoustically transparent fabric and we supplied and fitted acoustic treatment throughout the room. We used our 12mm tracking system to form three horizontal bands around the room separated by a shadow gap and divided by vertical panels where speakers were positioned. We also fitted our tracking system to front wall around speakers and the door into the AV cupboard. We finished the walls with a charcoal fabric from our suede range and continued the fabric on the door to create a hidden door.